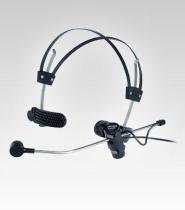 The SM10A is very lightweight and is typically mounted on the supplied steel headband assembly. 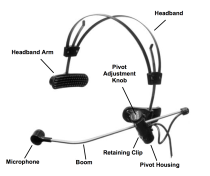 An adjustable pivot on the headband assembly allows the microphone boom to be moved 20° in any direction. 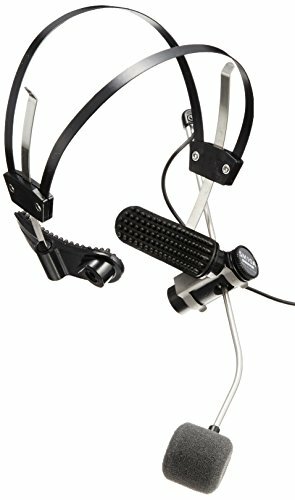 The boom also slides out so the microphone can be positioned up to 89 mm (3 1/2 in. ) from the pivot housing. A supplied windscreen reduces wind noise and explosive breath sounds. A belt clip that fits over the XLR connector and attaches to the user's belt or waistband provides cable strain relief.